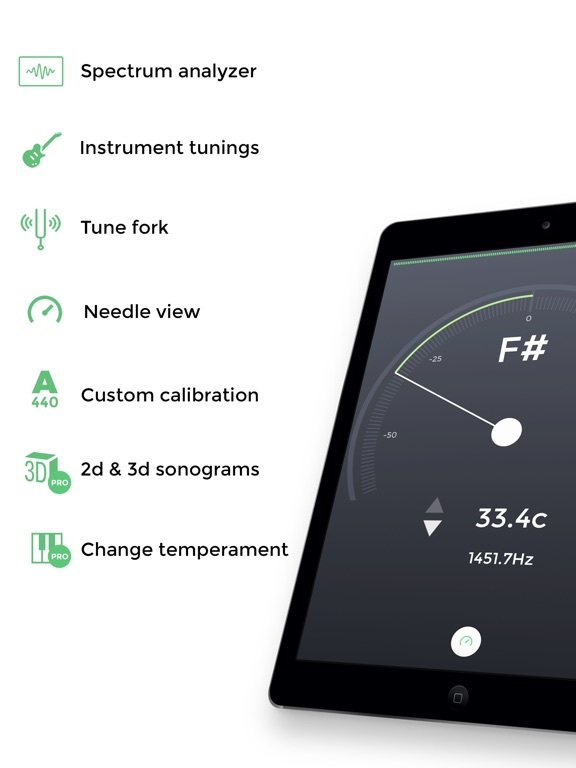 Tune your guitar, bass or other instruments with n-Track Tuner. 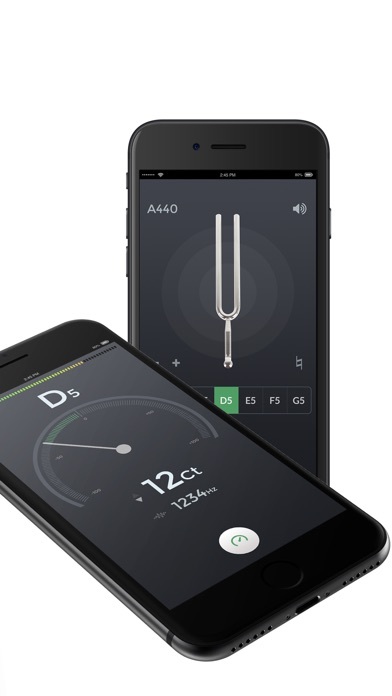 Use this tuner in an easy, intuitive and free way with the integrated microphone of your smartphone. Downloaded over 5 million times! 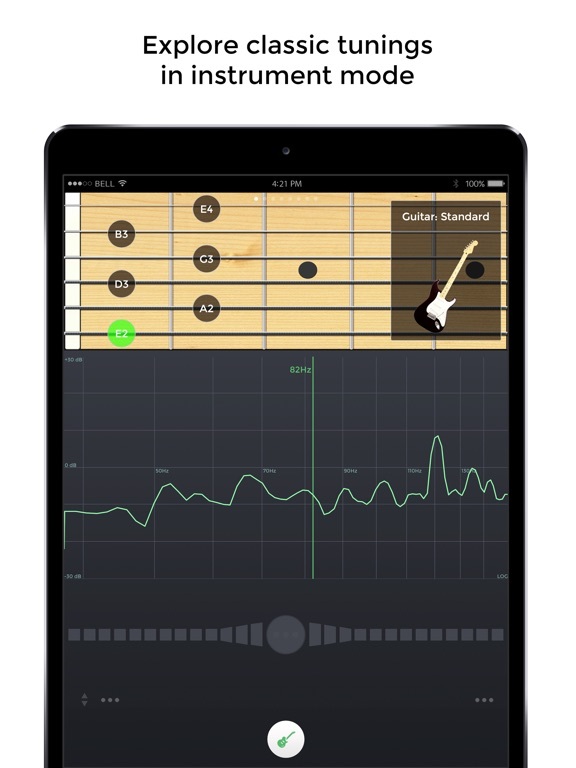 Just put your iPhone, iPod Touch or iPad next to your instrument and play each string. 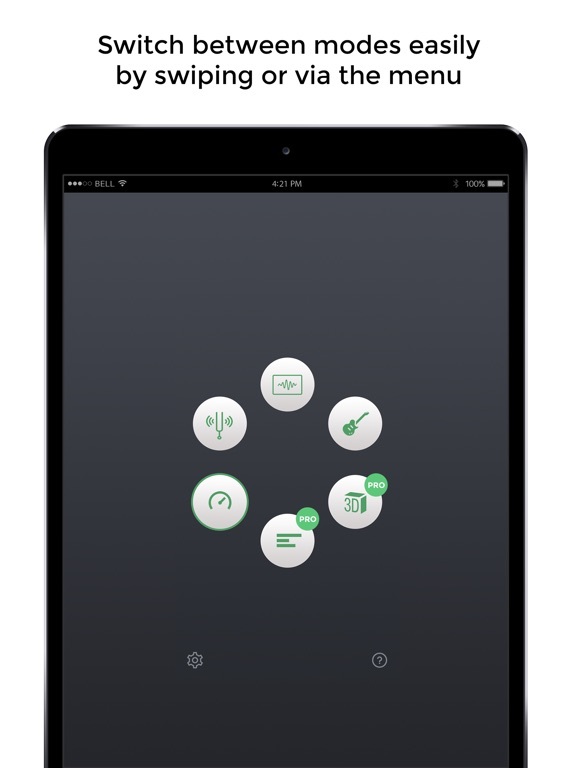 High precision and sensitivity thanks to the advanced audio recognition algorithm also used for n-Track Studio 8.
n-Track Tuner works great as a guitar tuner, violin, viola, violoncello, bass, piano and wind instruments tuner. 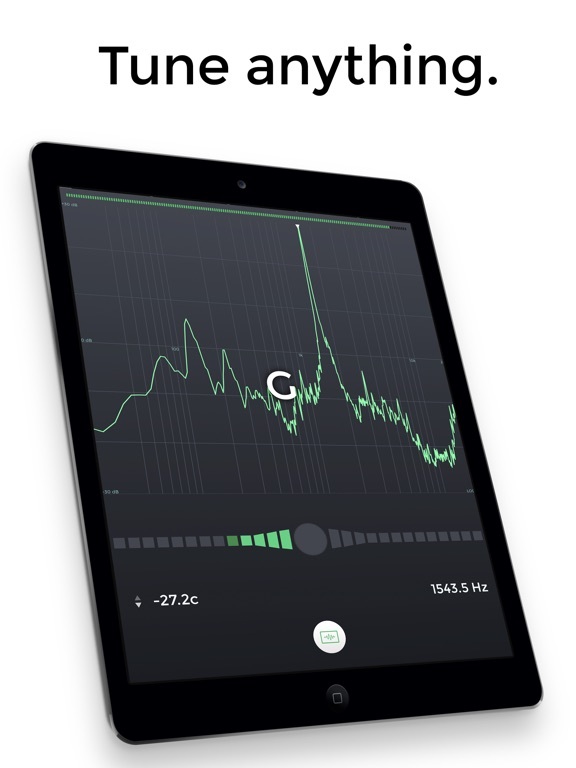 The spectrum analyzer provides a visual feedback of the notes played by the instrument and shows a small arrow to highlight the harmonic whose pitch the tuner is tracking. 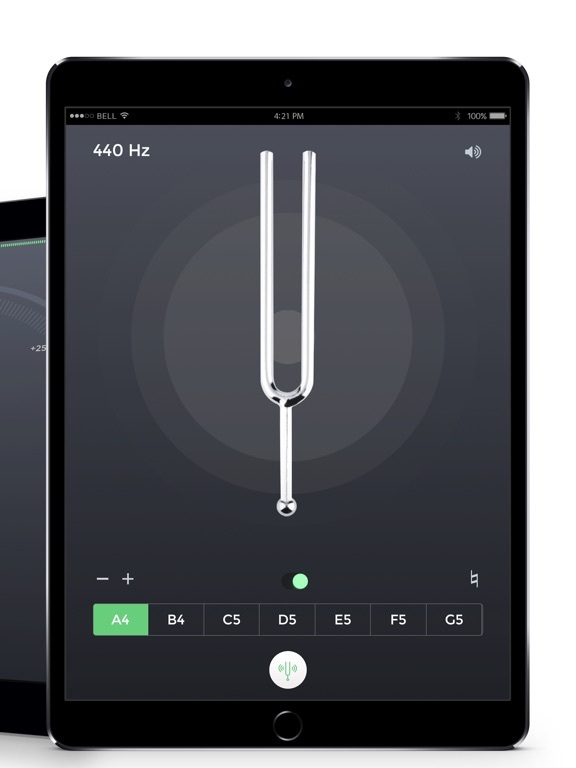 Get the pro version to unlock all instruments views. 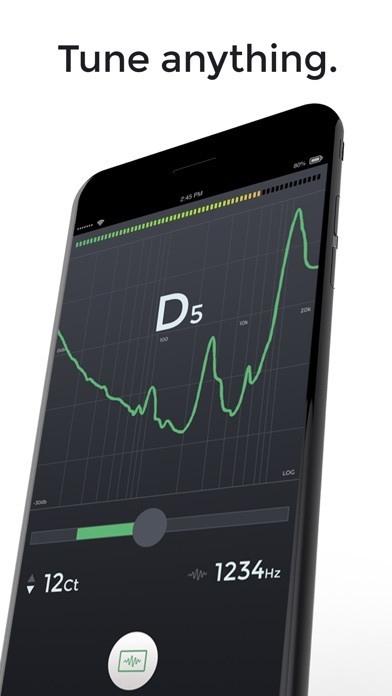 For those who prefer to manually tune their instrument the 'Diapason' view lets you play a reference tone, 'A' (440 hz) or any other note that you can select dragging the frequency slider. 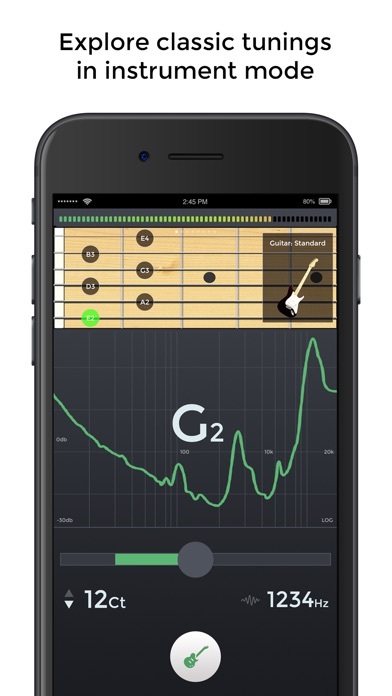 A handy old style tuner to accurately detect the frequencies of your instrument. 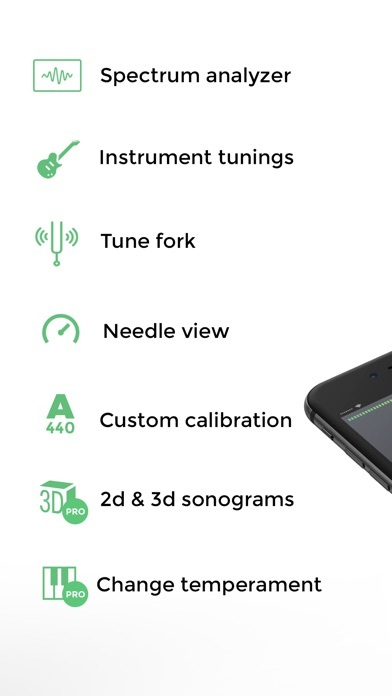 The "Sonogram" tab shows how the frequency spectrum evolves with time, and shows how the note that the tuner is following evolves by tracing a green line. 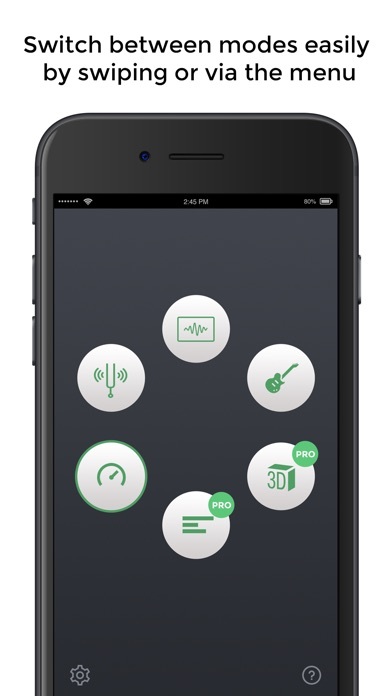 3D view lets you follow how the audio spectrum changes over time. Note: 2nd and 3rd generation iPod Touch require an external mic connected.